I started in the collision repair industry in 1986 as a Coach & Motor Body painter working in my parents business at Tingalpa Motor Body Works. We repaired all styles of vehicles – the rarer the better, with our passion being Concourse Restoration. The business was closed in the year 2000. I have worked in the industry in various capacities from a Brisbane based Refinish supply company, offering technical support, training, Business development, product testing and client support, demonstrating of products in Crash shops and in our own training facility. To a Brisbane based Toyota dealer supplying genuine Toyota parts in the role of Business development, giving representation and client support. I also developed a Paint & refinish side to the business to compliment the parts division. 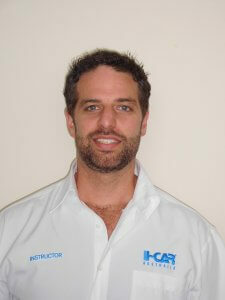 I was accepted as an instructor in late 2006 & I have found that being an I-CAR trainer allows me to assist my customer directly in the field and provide specialised service that few others can provide. 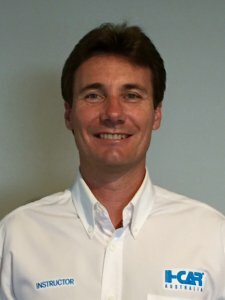 In late 2014 I was offered the opportunity to join the Audi Centre Brisbane as the Parts Area Manager. The Willims Motor Group is based in the centre of Brisbane and supplies genuine parts for Audi, Lamborghini, Bentley, & Maserati. Jake is a second generation Panel shop manager and has a passion for all things automotive with many years spent working and modifying cars. Motor sport is one of Jakes passions and he has been a rally instructor and driver for Extreme Driving from 2005-10. 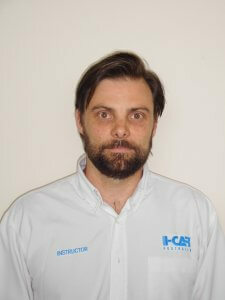 Jake has also completed a Business degree qualification and a Certificate IV in Training and Assessment and has been an I-CAR instructor since 2011. Jake has extensive experience in the Panel industry from everything panel to paint, quoting and assessment, Cycle times to new technology in the ever changing game. Always interested in automotive structure and repairability technologies, Jake is a supporter of dedicated training and transparency in the motor industry, where information flows especially as cars utilise smarter technologies and complex designs. My current role is the General Manager of Premier Panel Services, a family run business for over 37 years. We have manufacturer approval from BMW Australia which is now added to our current Lexus Approved Repairer accreditation. Being a family run business with our old house (now new office building) next door to the workshop, I have grown up and seen the workshop and automotive repair industry develop over the years. After finishing school, I completed a Bachelor of Engineering and a Bachelor of Management in Operations and Logistics. Since University I have worked in the automotive manufacturing industry experiencing and being part of the manufacturing process of both OEM and spare parts for such companies as Toyota, Holden, Ford and Mitsubishi. I enjoy the fast changing environment of the automotive repair industry, and the challenges of the new technologies present in vehicles today. I am also proud to announce that Premier Panel Services won the 2012 Paint and Panel SA Best Shop award. We are all very proud of our achievement. Over 40 years experience in the Automotive Repair Trade starting as a Panel Beater and then running the family business L&M SMASH REPAIRS at Seven Hills. I have travelled to Europe and the USA working with Car Bench, Migomag, Dataliner, Universal Bench and viewed Autorobot before it’s introduction into Australia. A short time later we became the Australian Distributor of Chief Automotive Equipment which was my first introduction to I-CAR. After a trip to the USA I completed a course in Paintless Dent Removal and have attended many automotive shows demonstrating both Chief and PDR. I completed Cert IV Business Management, along with a number of MTA and IAME courses and have attended regular seminars with Sikkens ACOAT and Debeer Quality First. 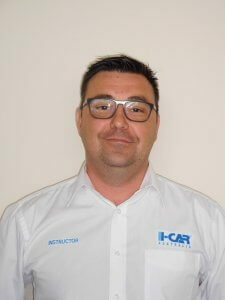 We became a founding member of I-CAR soon as they arrived in Australia. We have also been a recommended Repairer for Subaru Australia since 2007 and we continue to train and proudly became one of the first Gold Class accredited repairers in NSW. 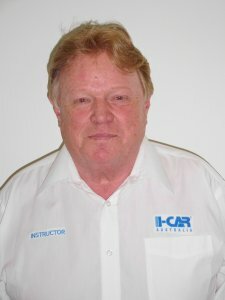 Looking forward to slowing down running our business and letting my son Daniel take over which will allow me more time instructing for I-CAR. Born and bred into the panel industry I am a second generation smash repairer who grew up repairing cars in the family business. I finished my panelbeating apprenticeship in 2001 receiving the MVRIC merit award for the top graduating apprentice in the state of NSW. After spending time in Europe I returned to Sydney in 2005 and completed my spray painting trade certificate as well as completing trainings in thermoplastic welding autorobot and business management. 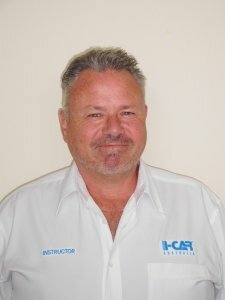 I currently own and run Carys Panelbeating in the Sydney suburb of Bondi and I have been involved with I-CAR since 2007 and enjoy the technical and professional aspect that it brings to the industry.